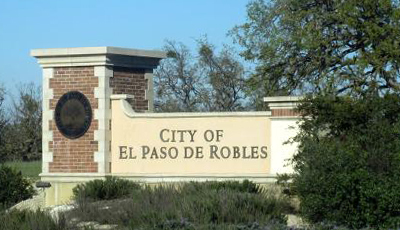 Paso Robles is a prime location for taking advantage of all the benefits of home window tinting. Surrounded by beauty with gorgeous sunny days throughout the year! And Paso Robles residents know just how hot it can get, especially in the peak summer months! All that sunshine makes it the envy of many, but it also brings with it damaging UV rays. Not only is too much sun exposure bad for our skin, it takes it’s toll on our homes as well. Wood flooring, carpets, drapes and furniture are all prone to sun damage. Apex clear home window tinting films keep out UV rays without disturbing visibility. Or maybe you have a window where you would like more privacy, but still want natural light. We have a wide selection of decorative window films too, including opaque, frosted and one-way options. Trapped heat that accumulates through unprotected windows can elevate the temperatures inside drastically. This causes most people to cover their windows, and crank up the air conditioning, but this just blocks the views and raises the energy costs! Glare is also a big nuisance, sunlight streaming in makes it difficult to see your TV and computer screens. The simple solution to making your home more comfortable is Apex home window tinting! It will block the heat and keep out the glare without sacrificing those beautiful Paso views! The sun’s strong rays don’t only make us uncomfortable, they also cause real damage to furniture, flooring, draperies, and other household belongings. Sun damaged items require costly replacement and can even devalue your home, and did you know that our skin is vulnerable to UV rays even while inside our homes? Most of us know to apply sunscreen before going outside, but don’t ever think about the harmful UV rays that come right through our windows when we’re inside! Installing residential window tinting will dramatically reduce the UV rays that get into your home, making Apex window film a smart choice for both you and your home! Home security is another way window tinting can help protect you. With Apex Security Film window tinting in place, glass cannot be shattered as easily. Fragments are less likely to disperse if a window is broken, which is especially important in a nursery or child’s room. While we know nothing will completely keep out someone truly determined, it is wise to take precaution where we are able to: Security films are thick, (ranging from 4 mil. to 15 mil.) This makes windows much more difficult for a would be thief to break and to get through. Every second counts when waiting for help to arrive! Worried that home window tinting will be too dark? People are often concerned that window tinting might look too dark on the outside or make the rooms too dark on the inside. With the advancements made in this industry this is no longer a concern! At Apex we will work with your needs to achieve a perfect balance of desired natural light and added protection for each of your home’s windows. We have window tinting film that cuts little to none of the natural light you want, and still reduces UV rays by up to 99%! Anything that can keep our A/C units from having to work so hard is always a plus! Not only will it keep the energy bills down, repairs and replacement are needed less frequently. Some people try to cover their windows in all sorts of ways to keep the heat of the sun out, but while curtains or blinds can block sun light from coming in, they also block the view and they don’t block the heat from entering the house. Window tinting film will not block your view but it will block the heat before it enters your home. This will keep your energy bills lower and your A/C unit happier, as it won’t have to work so hard! Call today or bookmark this page for your future reference to Apex home or office window tinting!